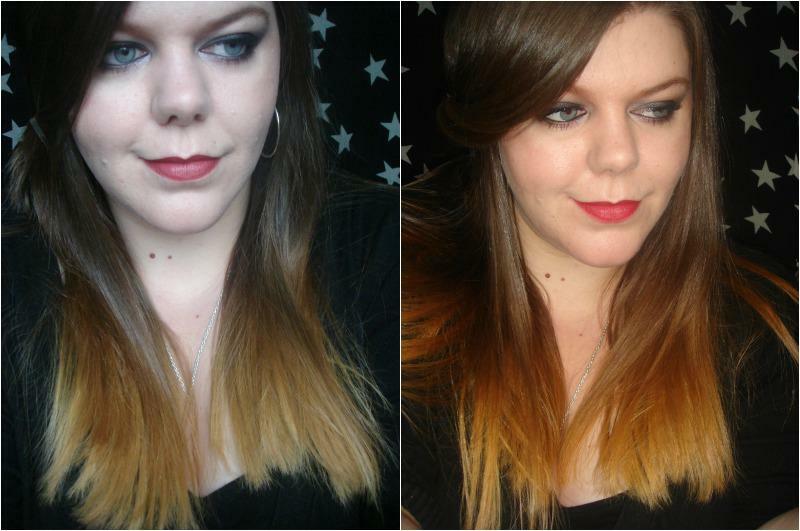 Sophsterlicious • UK Blog: How-to Ombre: L'Oreal Wild Ombres Kit Review. You may remember this post from a while back, when I ombred my hair with the hair stripper from Scott Cornwall. I was really happy with the subtle result because it was a major step for me to be dying my hair when I had spent so long getting my natural colour back. I really loved the subtle effect that wasn't too in your face. As time went on though, I got compliments on how it looked and I really loved it myself, so much that I wanted to br braver and go further with it. 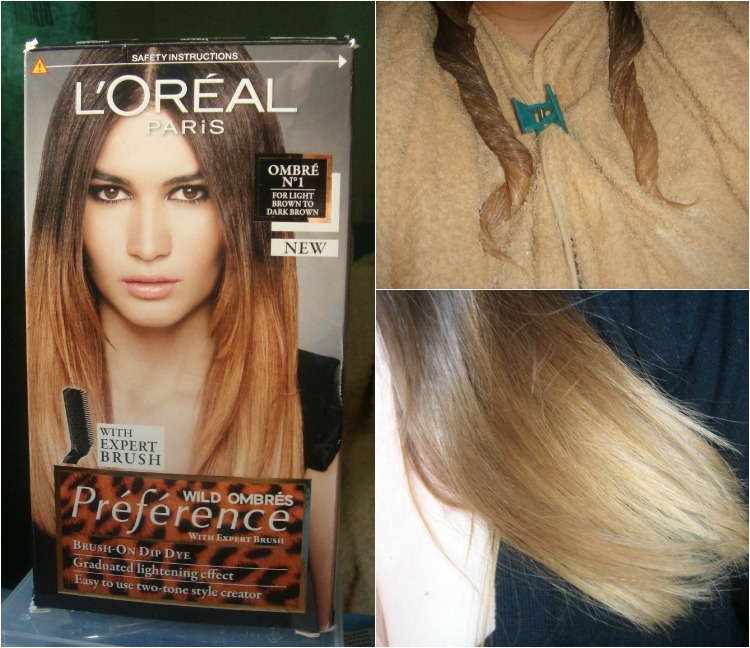 Enter the L'Oreal Preference Wild Ombres Dip Dye Hair Kit*. Last weekend I had a free evening and decided I was going to go for it! I wasn't sure what to expect and I was a bit worried because this is essentially bleach which I knew would lighten quite a bit. The results came out great though and I am super happy. The kit comes in three different shade ranges for different hair colours, I used No 1, for light to dark brown hair. 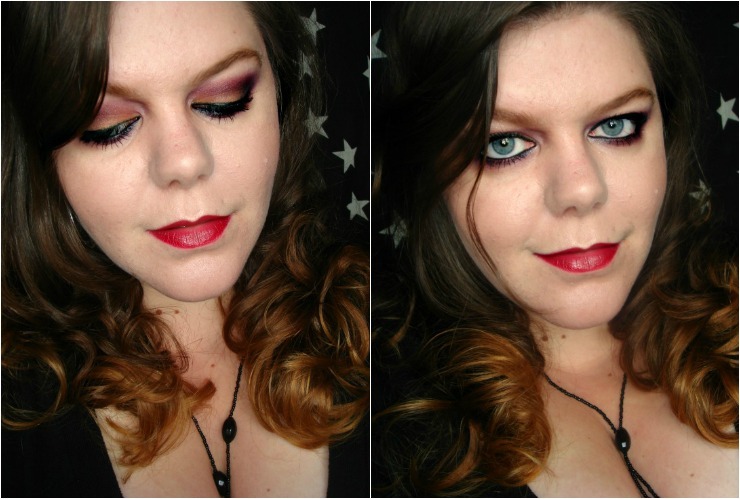 Read on for my quick how to, and the final results after styling.. The new Wild Ombre kit from L'Oreal comes with intructions and a special brush that you can use to comb through the ends of your hair to get the effect that you want. To be honest, it didn't work for me. I have thick hair and lots of it, so I did my own thing. The kit also said to apply the colour up as far as you wanted it and to just leave it for up to 45 minutes. I didn't do that either.. I wanted a gradient effect with my ombre, so this is what I did. * Donned an old T-shirt that I didn't mind getting dye on, just in case. * Used old towels, bleach will lighten anything it touches. * Combed through my (unwashed and dry) hair to remove any tangles. * Sectioned my hair into two, one section on either side of my head, and put it into pigtails. * Put on the gloves and mixed the colour and shook it up. * Applied it to the bottom two inches of my hair. * Let it develop for ten minutes. * Applied it again, going two inches higher. * Then applied a further inch or so. Throughout the whole process I kept on combing through with a wide tooth comb to distribute the dye evenly.. When it came to the top section part (the last section I applied it to) where the colour ends I used my fingers to comb through and run bits of the dye through some random strands too, to get an even blend. The reason I applied the dye gradually was so that the bottom section would lighten considerably more than the section above, and the section above that. It worked well and made for a lovely gradual/ombre effect. After leaving it for a final ten minutes (30 - 35 total) I rinsed it and used the shampoo included . . and voila, I was ombred! I'm sure you are all thinking, 'Okay, let us see!' by now, so here are my after pictures.. I didn't take a before, but you can see how subtle it was in my first ombre blog post (linked above) .. or in this image here. I love how it came out.. So much lighter, and much further up. Sorry for the dodgy expressions, these were just about showing off the hair really. you achieved the ombre look with perfection. wow!! been wanting to try this and my hair looks a similar colour to yours. just wondering though if it goes horribly wrong can i just dye over it with a darker colour or will that make it a gingery mess? lol. and i really don't want to have to chop inches off my hair?! Oh following you now, would love if you could check out my blog! i tried this yesterday and did nothing to my hair but i just combed it in as i hadn't seen ur blog so will try again doing it the way u did. Ah that looks wonderful. Yours turned out a lot better than other people's I've seen online. If it's an ombre effect it should be gradual like yours. Saving your post for if I'm brave enough to do it myself! You can definitely dye over it with a dark brown and shouldnt go ginger, it should cover the colour completely! This looks great, I think your hair looks better than the hair on the box of the dye~much more gradual/natural effect! Can you tell me did you have your natural hair before ombre or was it dyed? Because I dye my hair in dark brown so I don't know will it work on dyed hair. I used the Scott Cornwall in this pic.. http://1.bp.blogspot.com/-RiNIlCBSU4Y/UFd1z9GC2JI/AAAAAAAAEdw/gNpLMlJ0cwU/s1600/1f.jpg The pics above that you can see are both after I used the L'Oreal kit. That's so nice of you, thanks :) Good luck! Good luck, I hope it helps! Thanks! How did it go? Good luck if/when you do! looks awesome! bought this today and gunna do it this evening :) looked at the instructions inside tho and it said to just apply it to the entire length of hair without gradually building it up like u explained :S ur way makes much more sense tho! http://labelle2101.webnode.com/ ---Shiny new blog. It's not very good, but i'd love it if you left me a comment. Can you post a video demoing? My hair is in pretty good condition however its a little dry at the ends i really want to try this before christmas but im worried its going to dry out my ends and make them break off, do you think this would be a possibility? Have got this on my hair as we speak! No idea how it will turn out! Thanks for a great review and clear instructions. Your hair looks fab! Got this on my hair as I type.. wondering how it will turn out! Thanks for a great review and clear instructions. Your hair looks gorgeous! Wow you are looking fab. looks so nice! just wondering, in the photo you have your hair twisted together.. did you leave it like that to lighten? or is it best to leave it brushed through at straight? looks so nice! just a quick question, in the photo you have your hair twisted with the product on.. was there any purpose for that? I used this today after reading your article and I LOVE IT! So glad I took the plunge, amazing results. Wasn't sure as my hair is short (chin length) but it looks awesome and was easy to do. Thank you! I dye my hair a medium brown (5g) which is closest to its natural color to get rid of grey..can I use this and how soon after I do my hair? I dye my hair a medium golden brown, which is closest to my natural color to remove grey. Can I use this and if so how soon after I dye my hair ? I just googled this after wwanting to try it and I'm so happy to have found your blog! Looks great, I'm definitely going to try it!! Did you purchase two boxes or just one? I have thick hair as well and want to try this but i'm scared one box won't be enough. I am going to do this tomorrow, but may I ask you something? Is the picture in the collage, with the 'blond' hair your hair with this ombre kit? Hi. Yes, The blonde that you see if from using this Ombre kit :) Good luck! I applied this over previously ombre'd hair because I wanted it lighter, but it wasn't very damaged - if your hair is very damaged it might cause breakage so be careful.. But it should lift on your hair, it is technically bleach - but it may not go as light as you want if it is very dark already. Sorry for the late reply. I would wait a week or two, just to let the hair settle. Depending how light you want to go.. This one would be good for you if you want very blonde tips. Doing this tonight, have gone all over the internet looking for the best kits and methods, yours does look the best! hi I read your blog and the pictures look amazing I want to try the product on my hair but since im only 13 I don't want it to be permanent is it? Did my hair following your steps about a year ago, but with bleach instead and turned out amazing then after colored my hair red with w7 best hair style iv ever had! !